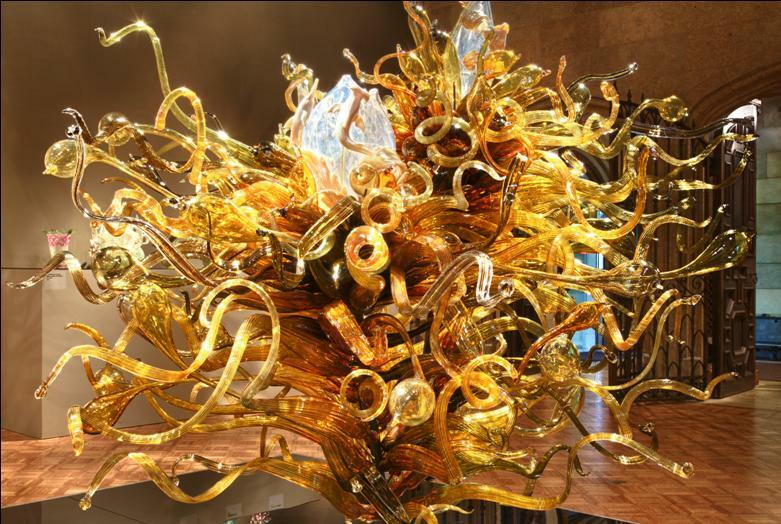 This stunning sculpture by Dale Chihuly was presented in the Paine’s Main Gallery during the summer of 2013. It was a component of a monumental “chandelier” by the artist featuring five separate groupings of more than 1,500 pieces of glass in total. The artwork, Laguna Murano Chandelier (1996), along with four dozen other glass works by Chihuly, was on loan from the George R. Stroemple Collection.